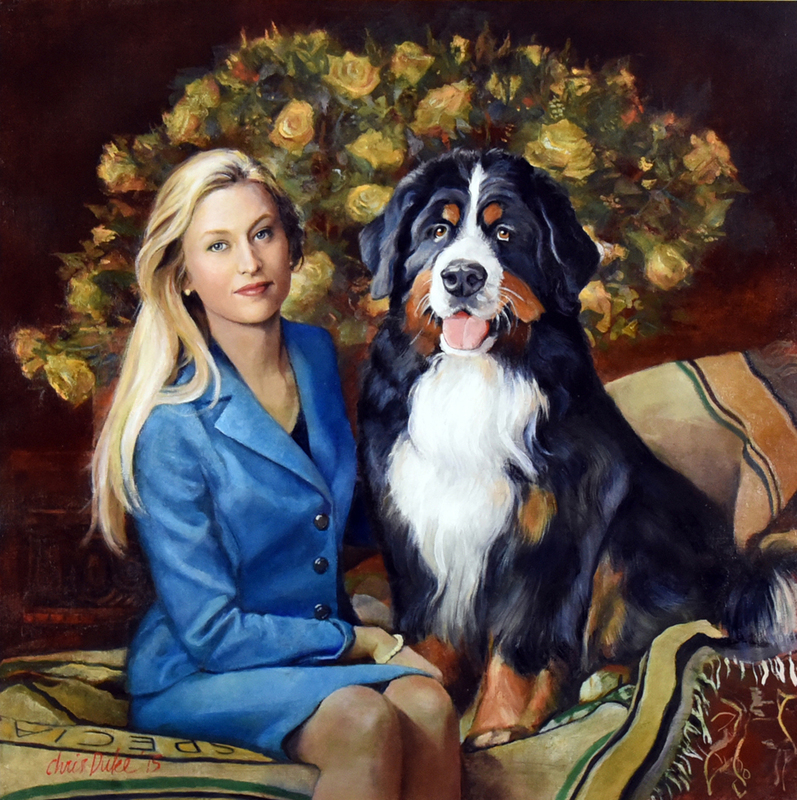 It was a delight to paint Odin, the Bernese Mountain Dog who took Best of Breed at the Westminster Dog Show in 2014. Odin and his handler/owner Amanda posed for me in Michigan. Odin has a huge yard where he runs, the exercise a boon to his great musculature. He is the loveliest of dogs! While painting, I imagined Odin as Amanda's best beloved date for an afternoon in the fields.